Industry partners are providing site visits and industry exploration opportunities for our Camp Pineapple campers. 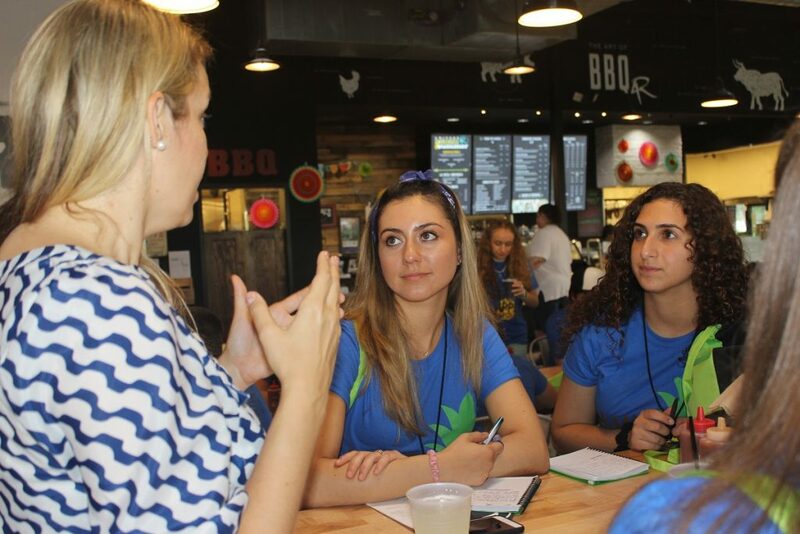 From various sectors of the hospitality industry – lodging, theme parks, restaurants, and entertainment venues, campers will learn about the hospitality industry from the experts. Take a few minutes to learn about each of the partners for Camp Pineapple 2019. Darden is a restaurant company featuring a portfolio of differentiated brands that include Olive Garden, LongHorn Steakhouse, Cheddar’s Scratch Kitchen, Yard House, The Capital Grille, Seasons 52, Bahama Breeze and Eddie V’s. Our people equal our success, and we are proud to employ 165,000 team members in more than 1,600 restaurants. Together, we create memorable experiences for 380 million guests each year in communities across North America. 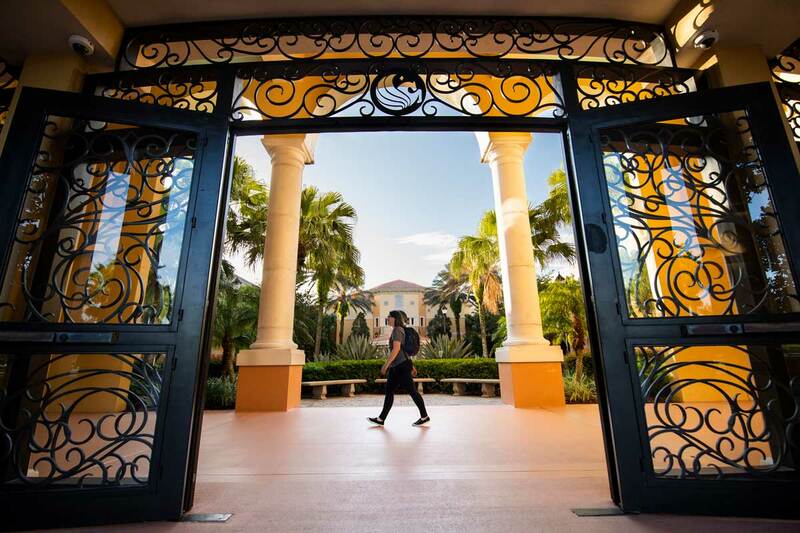 The 26-acre lakeside paradise of Four Seasons Resort Orlando at Walt Disney World® Resort is offers unparalleled experiences for today’s modern traveler—for families, couples, golfers, groups, and much more. Four Seasons Resort Orlando is truly a destination resort appealing to all ages and interests. For the adventure seeker, the resort offers a 5-acre on-site Explorer Island, featuring a water park with an interactive splash zone, two thrilling water slides, a lazy river, and many games and activities. From sand volleyball to a rock climbing wall to a basketball court, Explorer Island offers something for everyone. The AAA Five Diamond Award rated Four Seasons Resort Orlando is a sought after destination for visitors from around the world. Kings Dining & Entertainment was established in 2002 (as Kings Bowl) in the heart of Boston’s Back Bay inspired to merge genuine food, creative cocktails, and social gaming to create the ultimate entertainment experience. Since, we’ve expanded across the country with each Kings location bringing this inspiration to life with upscale, retro-inspired décor and best-in-industry service. At Kings you can expect an unparalleled social scene for all occasions; be it a family outing, a date night hotspot, a corporate event or the best place in town to connect with friends. Orange Lake Resorts is a leader in the vacation ownership industry with more than three decades of success. It is home to the Holiday Inn Club Vacations® brand, launched in 2008 through a strategic alliance with IHG® (Intercontinental Hotels Group), owners of the Holiday Inn® brand and one of the world’s leading hotel companies. The brand’s flagship property in Orlando, Fla., located next to the Walt Disney World® Resort, was established in 1982 by Holiday Inn® founder Kemmons Wilson. Orange Lake Resorts is the exclusive, worldwide timeshare developer for the brand and Holiday Inn Club® member product. The timeshare brand already features 26 resorts across 13 states, and the growing company recently acquired its 27th property. The Walt Disney World Swan and Dolphin Resort is located right in the middle of the most magical place on Earth. It has a beautiful tropical feel and tranquil waterways. The Swan and Dolphin Resort is on 87 acres of lakefront property. With five heated pools and a basketball court, there is an abundance of activities to partake in. The resort has spectacular lobbies, unique restaurants, and an incredible Mandara Spa that provides an escape from all of the excitement. Universal Orlando Resort is the second-largest resort in Orlando, covering 541 acres of land. Universal Orlando consists of two theme parks Universal Studios Florida and Universal’s Islands of Adventure, Volcano Bay, a night-time entertainment complex Universal City Walk, and six Loews Hotels. All of the hotel resorts offer Early Park Admission into The Wizarding World of Harry Potter and Universal’s Volcano Bay. It is a great place to go to experience thrills and fun! Visit Orlando is the official tourism association for Orlando. Orlando is the most visited tourist destination in the United States. They market and sell the Orlando destination globally. Visit Orlando is a not-for-profit trade association that represents 1,200 member companies. They represent all segments of the area’s leading industry. Chick-fil-A was founded in Hapeville, Georgia by Truett Cathy and now is the largest chicken quick-service restaurant chain in America, with over 2,200 locations throughout the United States. Each Chick-fil-A location is independently owned and operated. When selecting restaurant operators, Chick-fil-A looks for “hands-on” leaders that work full-time in the restaurant. Restaurants can be located in malls, a free-standing unit, drive-thru only or an in-line location. Chick-fil-A is closed on Sundays so that employees get a day of rest and time with their families. The restaurant company also gives back in numerous ways including college scholarships for their employees to encourage them to reach their goals and further their education. Travel on interstates almost anywhere in the United States and you’ll see Cracker Barrel Old Country Stores as a place to grab a meal that feels like home and a place to shop that reminds guests of days gone by. Founded in 1969 by Dan Evins the company, headquartered in just outside of Music City (Nashville) in Lebanon, Tennessee has over 650 stores in 45 states. The name comes from a time when crackers used to be delivered to those old country stores in barrels, and people would congregate around them to discuss the news of the day – you could say the barrels were the original water coolers! The restaurant was meant to help people reconnect with friends and family over a good meal so Cracker Barrel was the perfect name! Each restaurant and store is decorated with approximately 1,000 authentic American artifacts including memorabilia and signage from around the country. The restaurant serves 200 million biscuits, 160 million eggs and 135 million slices of bacon each year to 217 million guests. The Country Store sells 14 million thin sticks (hard candy) that total 1,104 miles of candy and 331,000 peg games each year. The company targets travelers with over 1,600 billboards across America to let everyone know they are always near and travelers account for 40% of their overall business. The company has recently opened a new fast casual concept, Holler & Dash, that has four locations in three states. Marriott International is the world’s largest hotel company, with more brands, more hotels and more opportunities for associates to grow and succeed. We believe a great career is a journey of discovery and exploration. Marriott International, Inc. (NASDAQ: MAR) is based in Bethesda, Maryland, USA, and encompasses a portfolio of more than 6,900 properties in 30 leading hotel brands spanning 130 countries and territories. Marriott operates and franchises hotels and licenses vacation ownership resorts all around the world. The company now offers one travel program, Marriott BonvoyTM , replacing Marriott Rewards®, The Ritz-Carlton Rewards®, and Starwood Preferred Guest®(SPG). For more information, please visit our website at www.marriott.com, and for the latest company news, visit www.marriottnewscenter.com. In addition, connect with us on Facebook and @MarriottIntl on Twitter and Instagram. Mears Transportation is the Official Transportation partner of Camp Pineapple. In 1939, Paul Mears, Sr. wanted to start a successful business and he knew that providing great customer service would make that happen. So he bought three taxicabs and built his business around respect, integrity, safety, enthusiasm and efficiency. The company now owns three taxi service companies with over 600 taxicabs in the greater Orlando area. In 1983, Paul Mears saw the opportunity to expand into the shuttle business. With the purchase of 19 vans, Mears became the Orlando International Airport concessionaire. Five years later, Mears Transportation expanded into the Luxury Vehicle and Motor Coach business. Their 70 shuttle vans, 300 luxury vehicles and 220 motor coaches can be seen in Central Florida every day transporting thousands of riders while they are in the area. A family owned business, the third generation of Mears family members run the business today with the same commitment to excellent customer services and quality they’ve been known for since 1939. Play with a Purpose specializes in hands-on teambuilding events that produce results. They stretch your imagination and create fresh experiences. The company is based in Orlando, Florida but also have an office in Las Vegas, Nevada. Boring meetings are thrown out the window and the company is able to engage the attendees while supporting your goals of the meeting. The purpose is to connect the attendees with the meeting content in an exciting way. Publix has grown from a single grocery store into the largest employee-owned grocery chain in the United States. Started by George Jenkins in 1930, Publix has always been about putting people first. George’s philosophy was to treat employees and customers like family. The grocery store’s employees have been trained to put the customers first. As a result, they have been named the number one supermarket year after year for customer satisfaction. Today, Publix has more than 1,100 supermarkets. The values and philosophies that George Jenkins established are still in place to this day and serve as their mission to be the premier quality food retailer in the world. 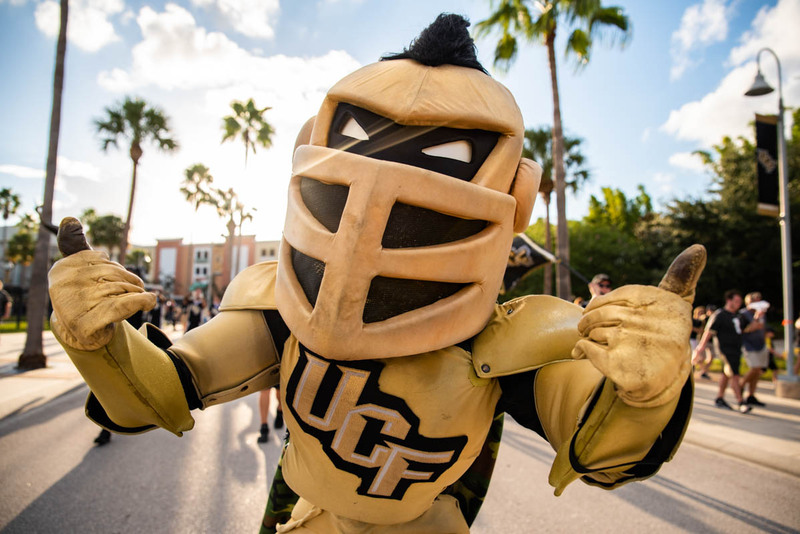 The University of Central Florida Timeshare Advisory Board was formed in November, 2011 through a collective decision among UCF’s Rosen College and leading developers and service providers in the timeshare industry. Comprised of 10 member companies, the Advisory Board’s efforts are focused on three primary objectives: Education & Research, Awareness, Career Placement. 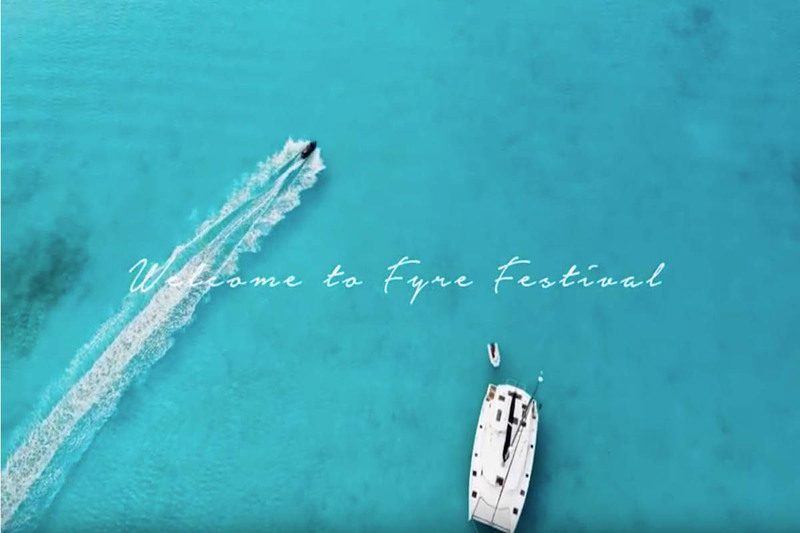 Here are the companies that are represented on the Board: ARDA, Baker Hostetler, Disney Vacation Club, First American Title, Holiday Inn Club Vacations, Interval International, Marriott Vacations Worldwide, Resort Condominiums International, Wyndham Vacation Ownership, Vistana Signature Experiences.